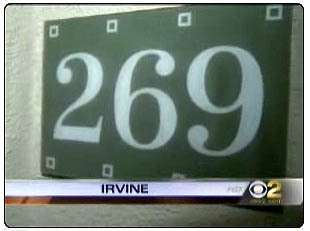 The party is over in apartment 269 after Irvine cops acting on complaints from neighbors discovered a small brothel in the OC. One woman was charged with pimping and two were popped for whoring via Craigslist - at bare bottom rates. The three woman, all Los Angeles residents, allegedly advertised their services on Craigslist.com, and met the men in a two-bedroom unit at the Villa Coronado apartment homes in Irvine, authorities said. Kyung Ah Lee, 34, was charged with felony pimping and conspiracy. Hyun Jung Shin, 28, and Su Jin Park, 34, were charged with misdemeanor prostitution and keeping a house of prostitution, said Susan Schroeder of the Orange County District Attorney&apos;s Office. Approximately two weeks ago, Irvine police started receiving complaints about the traffic of men going in and out of Unit 269, and set up surveillance, Schroeder said. Seriously 160 "roses" is the going rate for an hour with pretty hot women in Irvine? Who says you can&apos;t get good deals behind the Orange Curtain? What also struck us as queer was the KCAL report of the story. In it they interviewed neighbors who said that Johns of "all shapes and sizes" were coming to the apartment "at all hours". One neighbor said that the fellas were clearly not from the OC. "Nobody really clean-cut", Meghann Quirante told KCAL. "That&apos;s why I thought they were doing drugs or something because it was kind of weird-looking guys who don&apos;t belong in Orange County."